Estádio António Coimbra da Mota is a multi-purpose stadium located in municipality of Cascais. 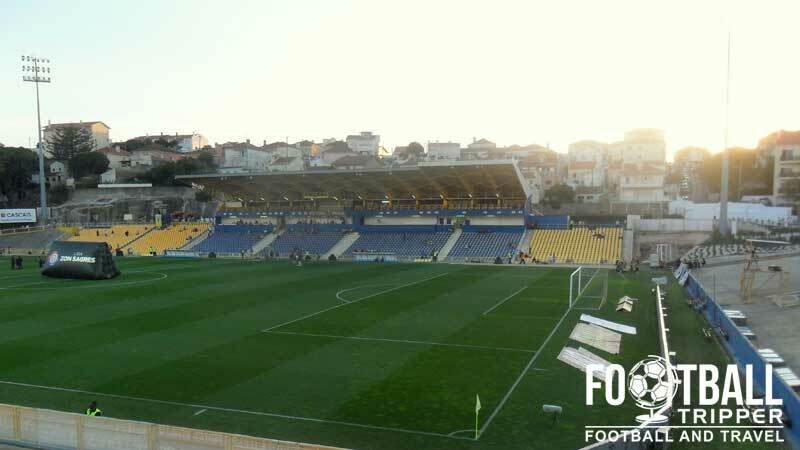 Home to Primeira Liga team G.D. Estoril Praia, the 8,000 capacity ground first opened in 1938 and was recently modernised between 2009 – 2010. Estádio António Coimbra da Mota is a small municipally owned sports stadium located in the coastal town of Cascais which is 30 kilometres west of Lisbon. 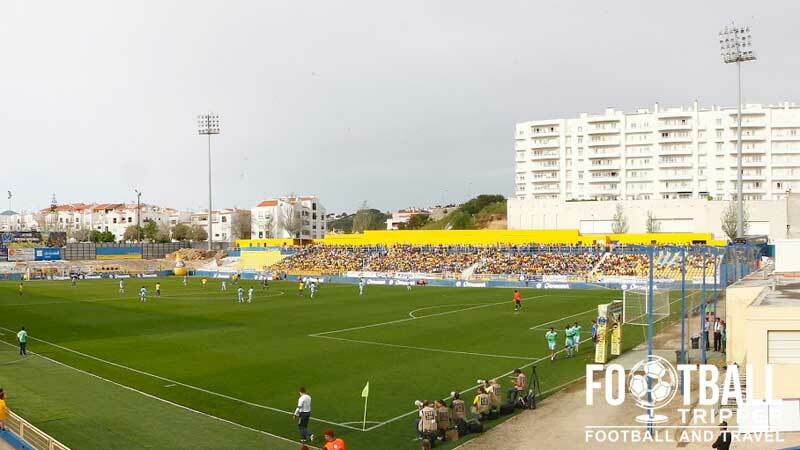 First opened on the 1st of January 1939, G.D. Estoril Praia took residency at the stadium a few months later in May, and have remained at the ground now for just over three quarters of a century with the stands mimicking their famous yellow and blue kits which are said to represent the town’s beaches and ocean. Little is documented of Estádio António Coimbra da Mota’s original size due to the difficulty calculating the exact number of terrace places but historians believe that Coimbra da Mota opened with approximately 5,000 seats. Renovations over the years have been few and far between with a small program of modernisation occurring for Euro 2004 when Sweden used the ground as their training base. Later an 3,000 additional seats added in 2014 in preparation for the Europa League. 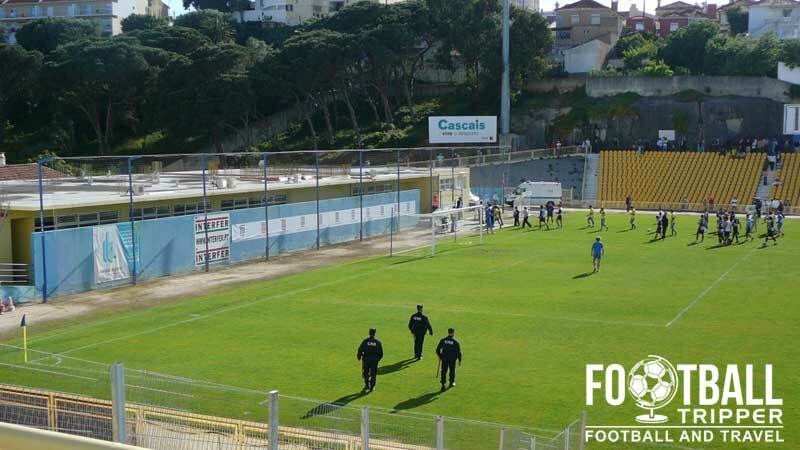 Upon returning to the Primeira League during the 2012/2013 season, Estoril recorded a surprising filth place league finish which placed them within the 3rd round qualifications where they progressed to the group stages but finished last after drawing and losing three matches each. The additional revenue received from taking part in the competition funded the expansion, and the following season the small club finished fourth setting a new club record. As a result the club automatically qualified for the group stages of the Europa league with Estádio Coimbra da Mota set to welcome PSV Eindhoven, Panathinaikos and Dynamo Moscow. If the club continue on the upwards trajectory there’s absolutely no reason why their stadium can’t be expanded further as there is clearly room around the pitch. Estadio Coimbra da Mota is comprised of four stands: North, East, South and West. If any Portuguese Football Trippers happen to know where the visiting supporters are housed then please let us know! We couldn’t find any information online regarding the Estoril fan shop and its opening times. It doesn’t look as if there are any guided tours of the facilities at Estádio António Coimbra da Mota. 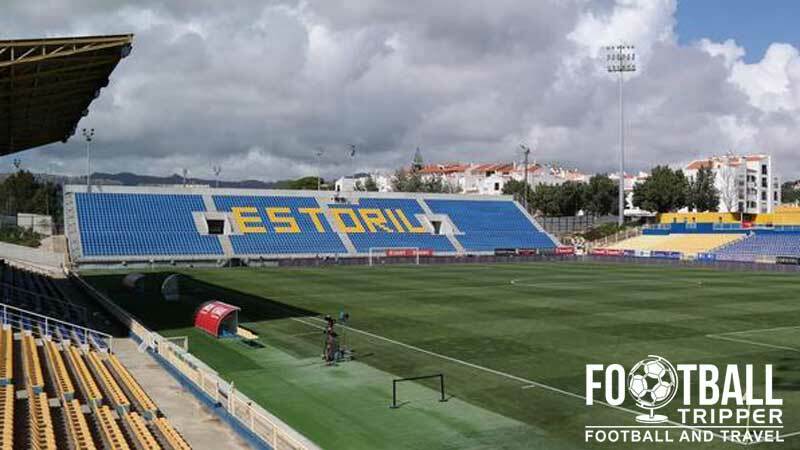 Tickets to see G.D. Estoril Praia play at home are on sale before kick-off which means that you can normally wait until match day to purchase them – a fact which is compounded by the lack of online ticket sales. Expect to pay between €12.00 – €18.00 for a top flight match in Portugal with the cheapest seats almost always located behind the goal in sections H, I, J and K.
Estadio Coimbra da Mota is located 1.8 km north of Estoril Railway Station, and only a few hundred metres further inland from the golden sands of Tamariz Beach. 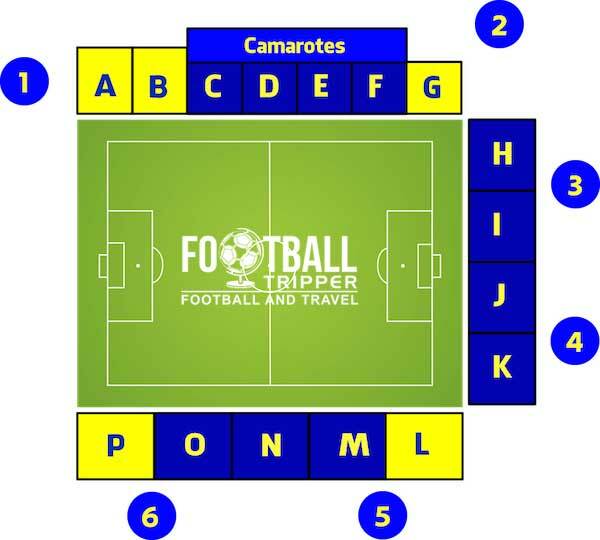 The journey by foot will likely take the average Football Tripper no more than 25 minutes with fans able to follow the long R. Dom Bosco to the ground. There doesn’t appear to an on-site car park at the stadium which means you will have to content with street parking in th adjacent residential areas of Amoreira and Bairro de São José. Estoril railway station forms part of “Linha de Cascais” with trains departing from Lisbon (Cais do Sodré station) every 20-30 minutes during peak times. The closest major airport is Lisbon Portela which is located 31 km east of Estoril more or less along the A5. We couldn’t find any information regarding bus stops or bus timetables however the Dom Bosco Road where the stadium is located is certainly primed for a bus stop. The three closest hotels to Coimbra da Mota stadium are all 10 minutes away back towards the coastline: Hotel Apartamento Clube Do Lago, Hotel Lido and Hotel Londres. Overlooking the coastline and around the railway stations there are of course more accommodation options such as Sao Mamede hotel, Hotel Vila Galé and Hotel Inglaterra – all of which are tourist friendly.